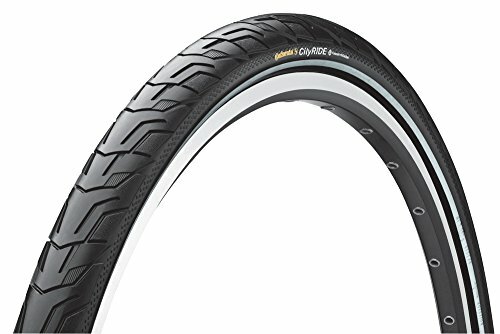 Continental City Ride 2 Urban Tire Reflex reflective sidewall for added safety with puncture protection breaker and rubber reinforced sidewalls provides better protection against flats. Larger contact surface provides better traction on hard surfaces. Color: Black. Weight: 760. Tire Bead: Steel. ISO Diameter: 559 / 26" mtn. ISO Width: 44. Labeled Size: 26 x 1.75. Tire Type: Clincher. Tire Diameter: 26". Intended Use: Road. Defined Color: Black. Flat Protection: Tread. PSI: 58. TPI: 66.